The Gryffindor are known for their bravery, chivalry and daring. The Hufflepuff are known for their loyalty, kindness and patience. The Slytherin are known for their ambition, cunning and determination. The Ravenclaw are known for being the absolute best house in the history of Hogwarts School of Witchcraft and Wizardry. Okay, so maybe Ravenclaw House may actually be known for being the most creative, unique and witty, but in our book that makes it the best house. What other house makes you solve a riddle just to hang out inside of it? Not Slytherin, that’s for sure. And just look at some of its well-known members! Notable members include Luna Lovegood, the ditsy, yet oddly insightful girl who battles it out with Nargles and Filius Flitwick, the spirited music professor of Hogwarts. Those are the kind of people we’d want to hang out with if we were at Hogwarts and if you’re looking at getting this Ravenclaw costume to join their ranks, we’re betting that you feel the same way! This adult Ravenclaw student costume lets you assume the role of a seasoned student from the Harry Potter films. 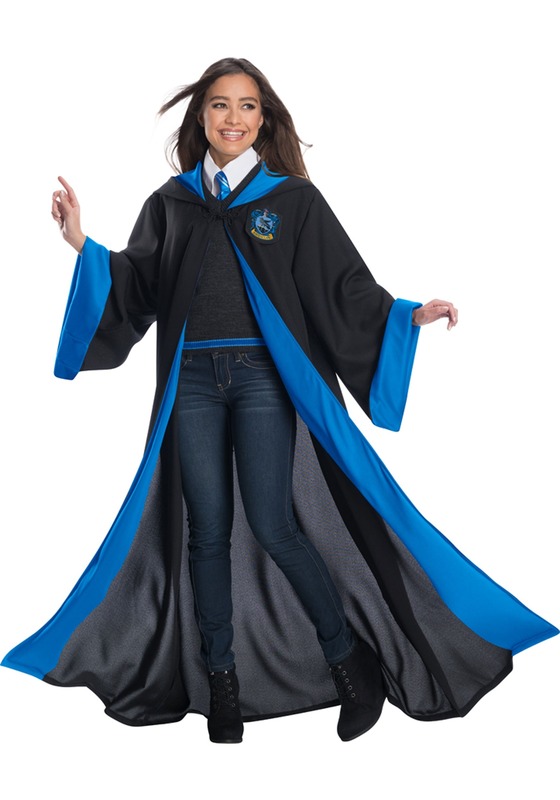 The costume comes with everything you need to get an authentic look, including the sweater top that has the Ravenclaw symbol on the front. 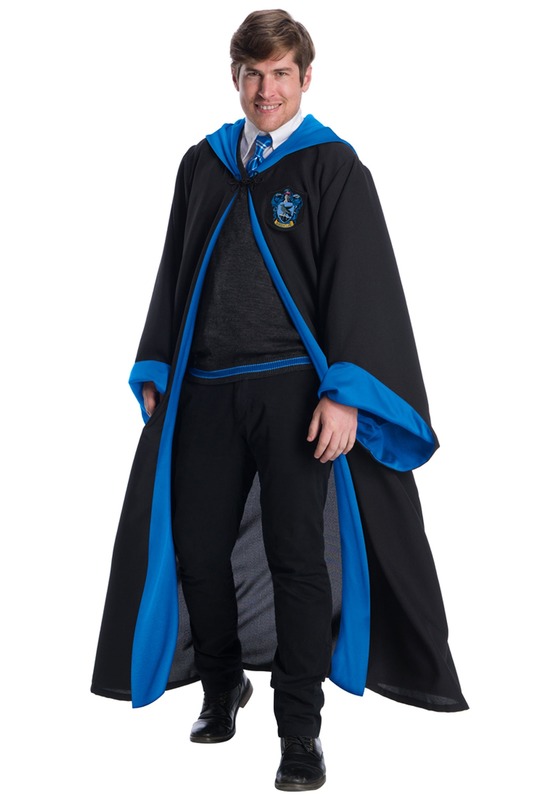 It also includes a matching blue and black robe that’s a must have when you’re headed to Herbology class! You might still be waiting to receive that acceptance letter from Hogwarts, but with this Ravenclaw costume, you can at least get the look now! Just make sure you study up on your Harry Potter spells before you wear it, since you’ll be expected shout a good spell or two when you wear this to your next costume party.